YOU DESERVE MORE JOY! TRUST ME! 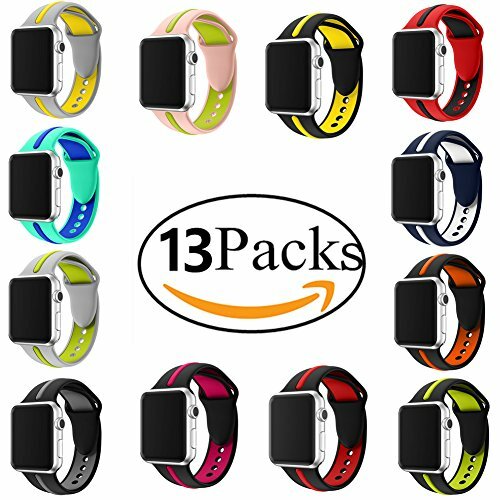 ۞COMPATIBLE with Apple Watch Series 1,Series 2 & Series 3. ۞EASY to Wear & Remove, STAINLESS STEEL BUCKLE Ensures Stable Safety of Your Watch Band. ❤MATERIAL Healthy Soft Silicone is Comfortable to Wear, & Feels Smooth, Soft to Skin, No Worry.۞SIMPLE, Generous Design Lets You Feel Energetic & Fashionable. ۞Only One Watch Band included, Do not include the Apple Watch. ★100% High Quality & Brand New. ✈SHIP via ePacket with Tracking Number, & It Usually Takes about 7-15 DAYS to Receive. If you have any questions about this product by MoreJoy, contact us by completing and submitting the form below. If you are looking for a specif part number, please include it with your message.